The British Embassy in Kyiv has officially announced that applications for Chevening Scholarships in Ukraine are now open and will close on 8 November 2016. 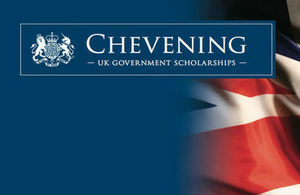 Chevening Scholarships are the UK government’s global scholarships programme. Established in 1983, these scholarships support study at UK universities—mostly one-year Masters’ degrees—for students with demonstrable potential to become future leaders, decision-makers and opinion formers. The Scholarships not only offer financial support, but the opportunity to become part of an influential and highly regarded global network that unites over 44,000 alumni around the world. Although it is a tale that probably hasn’t had the impact expected from Misha Saakashvili inspired events, and despite some highly questionable deals regarding the new Odessa International Airport Terminal between the Saakashvili administration and dodgy businessmen, matters regarding Odessa airport certainly appear to be going the right way. Upon arrival, Governor Saakashvili managed to force out the Ihor Kolomoisky aligned (and thus MAU airline friendly) bureaucrat that effectively—indeed very effectively—managed to preserve the almost 100% monopoly Mr Kolomoisky’s MAU had over flights into and from Odessa airport—both national and international flights. Odessa continues to lead the way in terms of IT innovation. 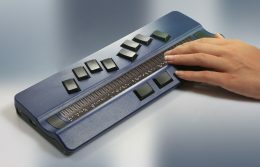 The latest development is a new four-month program offering visually impaired odessites the opportunity to learn how to use JAVA and create mobile devices applications. This is the first such initiative in Ukraine—The Odessa Review reports. The new business column starts off in familiar territory; this and the next several articles will focus on the Tech Scene in Odessa. 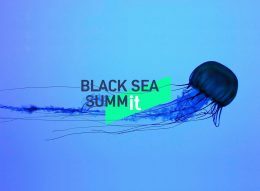 For the upcoming 2016 Black Sea SummIT Conference on September 9–10, this may add some extra insight to help you convince your tech and business friends to attend. Moreover, our exploration here may prompt enlightened tech-oriented businesses to expand their outsourcing and recruiting activities into Odessa.